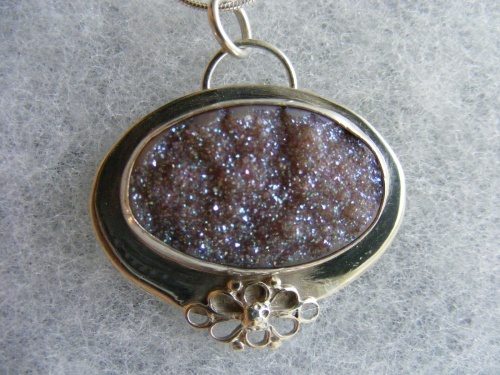 This gorgeous pendant is made with a beautiful and unique mauve druzy. Bezeled and soldered to a sterling silver backing, I also soldered a small lacy placque on the bottom of the piece. Comes with a sterling silver snake chain.